Velma Ree Smith, 72, passed away April 07, 2019. A graveside service will be 10:00 AM, Wednesday at Abilene Municipal Cemetery. Burial will follow at Abilene Municipal Cemetery, directed by Abilene Funeral Home. Mrs. Smith was born February 10, 1947, in Lamesa, Texas to Louis and Rosa Brewer. 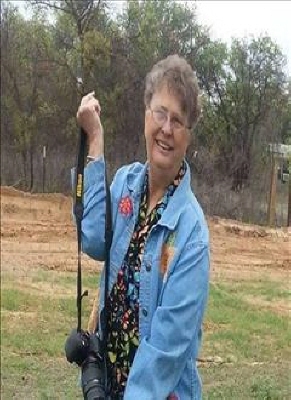 She attended local schools and enjoyed photography. Mrs. Smith was preceded in death by both her parents, her husband Clifford Smith, brothers Nolan Brewer and Elbert Brewer, a sister Thelma Bleeker, and a son Anthony Warren Hulsey. Left to cherish her memories are her two sons Joseph Hulsey and John Rankin, both of Abilene. She also leaves behind three grandchildren and six great grandchildren. The family will receive friends at a visitation from 3:00 PM - 5:00 PM, Tuesday, April 9th, 2019 at Abilene Funeral Home Chapel of Hope. To send flowers or a remembrance gift to the family of Velma Ree Smith, please visit our Tribute Store. "Email Address" would like to share the life celebration of Velma Ree Smith. Click on the "link" to go to share a favorite memory or leave a condolence message for the family.